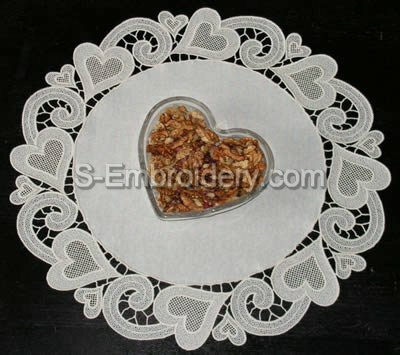 This fine free standing lace machine embroidery design will produce a nice Valentine doily like the one featured on our web site. 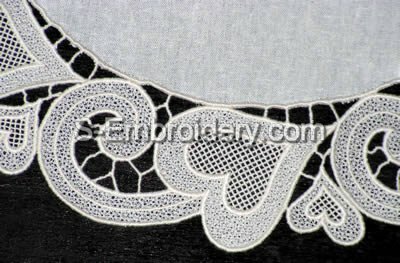 It is made by stitching out the design 8 times and has a diameter of 17.5 inches (44 cm). Our delivery includes design information and instructions and a machine embroidery file in any of the supported formats. I'm ordering this one. The care taken to perfect sew-outs is awesome. I love your work Stacy and get many compliments on the other designs I have ordered. Thank you.